On this date, five years ago. Somewhere in NYC, I began to write. 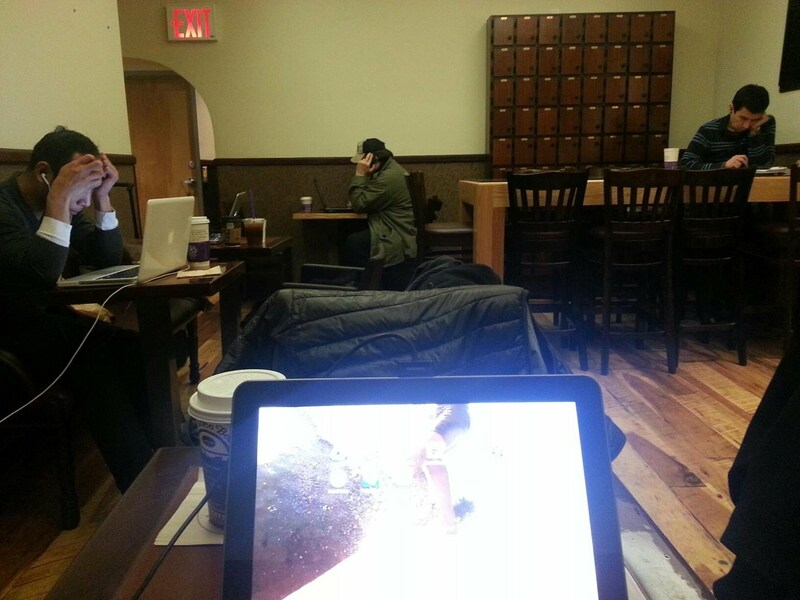 It is hard to believe that five years ago, on this date in a NYC coffee shop on the upper east side, I started my writing career. You can see other frustrated writers around me, but this cozy place became the catalyst for putting pen to paper, or in my case, fingers to keypad. Since then, my debut novellas, November Seed & From Europa With Love, continue to have steady daily downloads on Amazon and the fan base, spread over eight countries, is still growing. So thanks to all who support and push me onwards. I do not follow a linear path and have several other novels in the treatment stage that I am equally excited about, such as: HUM, Suicides Of Spring and Glycerine to name a few. Recently, I have joined forces with a fellow writer (G+’er) to compile a list of shorts we have written and put out onto various sites, such as: Offworlders.com (my favorite), Wattpad (where one of my shorts made it into their premiere eZine, TEVUN KRUS).and other author/reader sites. But it is G+ that has taught me to be a better writer because of the invaluable advice and knowledge learned and shared by such super cool folks. This entry was posted in For writers, In The News, scifi, short stories, WIP and tagged November Seed, sci-fi, sci-fi short, sci-fi writing tips, science fiction, Silversides, writing scifi by Dave. Bookmark the permalink.